Erbil, Kurdistan - Today, Mrs. Kader has participated in the election of the new leader of the Assyrian Church of the East which has become the 111th patriarch in a period of great instability and unrest in the Middle East. Gewargis Sliwa, born in Habbaniya, Iraq, in 1941, was consecrated by the name of 'Mar Gewargis III' as the new Patriarch at the Church of St. John the Baptist of Ankawa, the Christian neighborhood of Erbil, also receiving best wishes by the Holy Father Pope Francis. Sliwa studied in Baghdad and the US before becoming a priest in 1980. Based in Baghdad, he has served as Metropolitan of Iraq, Jordan and Russia. As the only Assyrian metropolitan still residing in Iraq, Sliwa has seen at first hand the persecution of his people. The headquarters of the Assyrian Church was transferred to Chicago in 1940 due to political tensions and violence, but soon will be moved to Erbil. 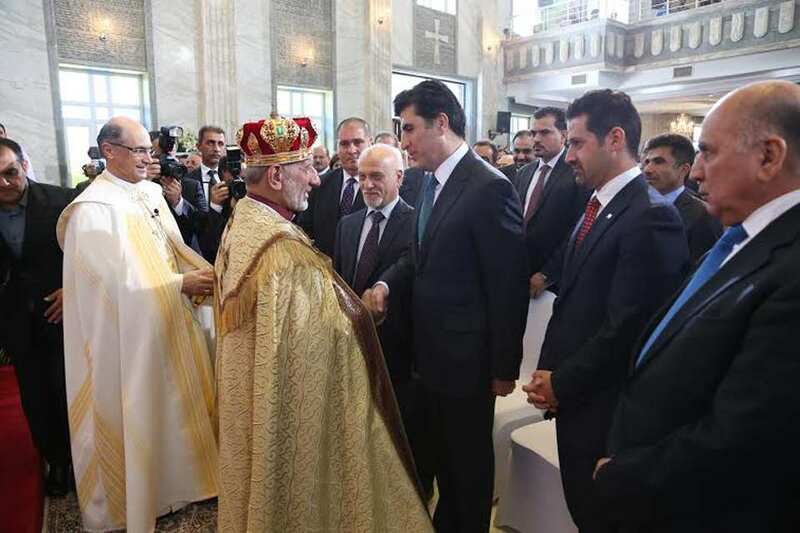 The ceremony was attended by Prime Minister Nechirvan Barzani, the Deputy Prime Minister Qubad Talabani, the Chief of Cabinet of President Barzani Dr. Fuad Hussein, the Kurdish and foreign governmental and religious authorities, representatives of the diplomatic corps in the country.